Researchers at the University of Wisconsin–Madison are developing new computer chips that combine tasks usually kept separate by design. According to assistant professor Jing Li, these “liquid silicon” chips can be configured to perform complex calculations and store massive amounts of information within the same integrated unit — and communicate efficiently with other chips. To help people harness the new chip’s potential, Li’s group also is developing software that translates popular programming languages into the chip’s machine code, a process called compilation. Given that testing accounts for more than half the consumer cost of computer chips, having such advanced infrastructure at UW–Madison can help make liquid silicon chips a reality and facilitate future research. 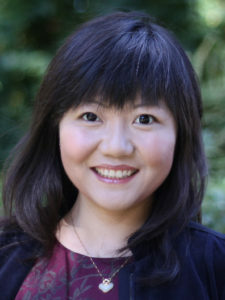 Li’s work is supported by a Defense Advanced Research Projects Agency Young Faculty Award, a first for a computational researcher at UW–Madison. She is one of 25 recipients nationwide receiving as much as $500,000 for two years to fund research on topics ranging from gene therapy to machine learning.